Bon Appétit presents Chicago Gourmet and the lauded Cochon 555 U.S. Tour have announced the lineup for the inaugural Punch Kings, Pigs n’ Tiki – a notable group of mixologists, judges, farmers and sponsors who will celebrate an evening brimming with Tiki-inspired punches and a lip-smacking heritage pig roast. Sponsored by Southern Wine & Spirits of Illinois and La Caja China, Punch Kings, Pigs n’ Tiki takes place Saturday, September 26 at the Harris Theater Rooftop from 8 to 11 p.m.
Punch Kings, Pigs n’ Tiki also includes a festive pig roast lining the perimeter of the Harris Theater rooftop. Heritage pig farmers throughout the Midwest – some of whom include Trent Sparrow of Catalpa Grove Farm (Dwight, IL), Kim Snyder of Faith’s Farm (Bonfield, IL) and Michelle DeSchaff of 1936 Meadowbrook Farm (Benton Harbor, MI) – will team up with top Chicago chefs to provide a unique spin on the traditional pig roast. The Illinois Restaurant Association interviewed Brady Lowe, founder of COCHON 555, to learn more about this inaugural event. How did the concept of Punch Kings come about and how has it evolved over time? What will make this event special in Chicago? The competition started four years ago as a result of my love for punches and social drinking. I thought table service was taking a turn for the worse - nothing excited me about a bottle of vodka and some bland mixers. As the handcrafted culture started to bloom and COCHON555 hosted events all over the country, we saw a chance to bring back the original table service - we wanted to see more PUNCHES! Since we began the competition, we not only notice punches on more restaurant menus, but also see people are making them at home with recipes we have collected from our competitions. It’s a beautiful thing. The punch culture is back and it’s so darn tasty! It’s awesome to see it continue to grow in the hands of Chicago Gourmet and the great barkeeps of Chicago. How do the heritage farmers and chefs come into play, and why was it important to you to bring that element to Punch Kings? The most important aspect of COCHON555 events, beside education, is the connection with our food and the farm in which is it produced. Heritage Pig farmers are hardworking flavor-makers and when it comes to premium spirits in punch bowls, its a perfect match. So for this event, we did a little reverse engineering of the Cochon555 & Heritage BBQ competition where we ask a notable chef to compete in a culinary competition and we provide one whole heritage breed pig raised by a local farmer. For Punch Kings, we reverse the pairing, we start by asking the farmer to provide a pig for cooking in a Caja China box, we ask them to invite their favorite chef, we teach them to use the cooking box and then gift the Caja China to them after the event for future use. This really gives the farmer education on roasting pigs in a Caja China and another outlet to selling more pigs at events and farmer markets. It’s a pretty cool way to close the gap and keep our model of education in focus. Tickets to Punch Kings Pigs n’ Tiki are $75 per person. The evening includes punch bowl tastings from the contenders, a heritage pig roast, premium beer and spirits tastings and more. Tickets are available for purchase here. Hailing from Michigan’s Upper Peninsula, Diane Corcoran got her first taste of the hospitality industry working at the country club in her hometown as a teenager. She continued to serve and bartend while attending school at Northern Michigan University, and feeling right at home working in restaurants and behind the bar, it was only natural that she join the School of Hospitality Management to springboard her career. After graduating, Corcoran spent a few years bartending and managing restaurants in Traverse City, MI, before moving to Las Vegas in 2007 to work for Harrah’s as a Food & Beverage Manager. Following her almost 2-year stint there, she relocated to Arizona where she spent another three years in the industry. Finally, in 2011 at the age of 30, Corcoran made her way to Chicago where she began her tenure at Lettuce Entertain You Enterprises. As a member of the opening bar team at River North hotspot RPM Italian, Corcoran quickly shifted into the role of Assistant Beverage Director under the tutelage of mixologist Paul McGee. Her role evolved organically, and at the end of 2014, Corcoran stepped up to the position of Beverage Director, overseeing the bar and spirit programs at RPM Italian, RPM Steak, Bub City, award-winning Three Dots and a Dash, Paris Club Bistro & Bar, and Ramen-san in River North, and assisted with Summer House Santa Monica and Stella Barra in Lincoln Park. She also helped curate the opening cocktail menu, along with Top Chef alum CJ Jacobson, at the much-anticipated spot, Intro. In addition to overseeing the bar programs of eight restaurants, Corcoran curates all liquor lists and cocktail menus, as well as conducts training sessions for managers and new employees. We caught up with Diane to learn more about Chicago’s mixology scene. Tell us a bit about your history? How did you get into the beverage industry? I began working in restaurants when I was 18 and started bartending when I was 19. Although I’ve performed several different job duties in the industry, I felt most at-home behind the bar, being a bar manager and helping out with responsibilities like ordering, inventory and managing the bar staff. The craft cocktail scene is still fairly new to me, having only joined it three or four years ago when I started working on projects like RPM Italian, Bub City and Three Dots and a Dash. In your opinion, what sets Chicago’s cocktail scene apart from the other cities like San Francisco and New York? I haven’t had the opportunity to truly explore and experience the San Francisco cocktail scene, but I’m eager to do so! I think what sets Chicago apart from anywhere, though, is the amazing service. I feel Chicagoans make it a point to go above and beyond for all guests. The level of hospitality – no matter the style or type of bar – is unmatched. What is your favorite cocktail spirit to work with? Because I work with so many concepts (ie: the RPM brand, Bub City, Three Dots and a Dash, Ramen-san), there’s an abundance of different spirits constantly at my disposal. I do love working with whiskey and tequila though, those are my personal favorites. What is your favorite fresh ingredient to use in your cocktail creations and why? Fresh fruit in general, but I especially love playing with and manipulating pineapple. There are so many different flavors and characteristics you can extract from it. It’s extremely versatile, and I love that it can be sweet and acidic. For example, I smoke and char pineapple to get an extremely dynamic and rich flavor profile for the cocktail, Bikinis After Dark, at Three Dots and a Dash. When you’re not sipping a cocktail, what’s your preferred beverage of choice? I’m a beer girl, and that’s never going to change! 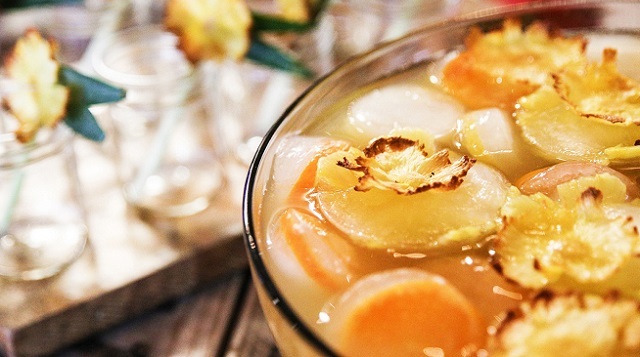 What do you think is the hottest cocktail trend right now? Right now for summer, I’m enjoying cocktails frozen in different ways, like slushies and snow cones. At Three Dots and a Dash, we always have a rotating frozen drink on the menu. Currently it’s the Tortuga, made with two different types of rum, dry curacao, sweet vermouth, cacao, pomegranate and lime. Tell us, when we visit Three Dots and a Dash, what are the must order items – cocktails and food? I would start with one of the Painkillers (they’re sweet and creamy and the perfect way to start your night), move on to a classic Mai Tai, then finish with the unique and delicious Bikinis After Dark. To soak up all that rum, I would order the Captain’s Pu Pu Platter to give you a great sampling of several of our offerings, including fan favorites Thai Fried Chicken, Coconut Shrimp and Pork Buns. Anything else you’d like to tell us about the cocktail industry in Chicago? There is so much talent on the Chicago bar scene right now and so many great places are popping up. Chicago lacks pretension, making it an ideal place to drink, whether it’s at your local watering hole or at an upscale craft cocktail bar. In early July, the U.S. Dept. of Labor issued a proposal to rewrite federal overtime regulations in the Fair Labor Standards Act (FLSA). Among the changes, the Dept. of Labor has proposed guaranteeing overtime pay to salaried employees who earn less than $50,440 a year, or $970 per week. The current threshold is $23,660, or $455 per week. Other proposed changes include automatic increases in the minimum salary threshold based on inflation, and new restrictions on the amount of time that managers can spend on non-supervisory duties, such as cleaning a table or helping a waiter when the restaurant is busy. Overtime rules are a critical issue for the restaurant industry. These regulations have the potential to radically change industry standards and negatively impact our workforce. On July 6, the Dept. of Labor opened a 60-day public comment period on the proposed rule changes. Unless an extension of the public comment period is granted by the Department of Labor, these proposed overtime rule changes will go into effect on January 1, 2016. The Illinois Restaurant Association and National Restaurant Association have joined the Partnership To Protect Workplace Opportunity – a diverse coalition of associations, businesses, and other stakeholders representing employers with millions of employees around the nation – in urging the Department of Labor to extend the public comment period another 60 days at minimum, so that all parties can have additional time to analyze and debate these proposals. Click here to read more about the background of these new overtime proposals, and how they will impact employees and job creators if implemented. With only three weeks left until the end of the public comment period on September 3, the time is now for all employers to contact the Department of Labor and Members of Congress to stress the need for further analysis and input from all parties before these overtime rules go into effect. Click here to take action today and petition for a 60 day extension of the public comment period on proposed changes to federal overtime regulations. 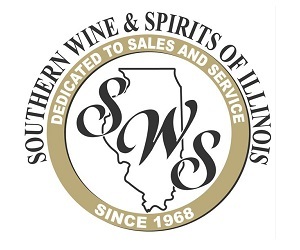 Since its founding in 1968, Southern Wine & Spirits of America, Inc. (Southern) is a nationally recognized wine and spirits distributor known for its historic commitment to delivering the highest standards of customer service and creative marketing programs and partnerships by continually supporting our best-in-industry sales professionals with the tools and education they require. In addition, Southern is justly respected for its deeply held belief in the importance of giving back, for being a socially responsible corporate citizen and for making generous contributions to national, state and local charitable organizations. Throughout the 35 states that Southern operates within hundreds of millions of dollars are collectively distributed to charitable organizations around the country. Recent examples include the $100 million dollar commitment to Step Up For Students, the foundational funding for the Cleveland Clinic’s Larry Ruvo Center for Brain Health in Las Vegas and tens of millions of dollars for beverage education programs throughout higher education around the country at schools like UNLV and Florida International University to name a few. Here at home in Illinois, just in 2014, Southern offered support to more than 125 different charitable groups and community-based, non-profit organizations across the state. This is in addition to the hundreds of volunteer hours provided to the community by Southern employees. This founding principle is a common trait found across our divisions around the country. Southern of Illinois is entering into its eighth year as the exclusive presenting sponsor for Chicago Gourmet, arguably the largest food, wine and spirits festival in the Midwest contributing over $120,000 for charitable initiatives in 2014 alone. These funds from Chicago Gourmet over the years have supported groups like the Charlie Trotter Foundation and the Illinois Restaurant Association’s Educational Foundation scholarship program. In addition to charity work, the team in Illinois is equally committed to providing the highest level of trade education to the Chicago market and beyond. Through its best-in-class mixology and wine education academies, with the “We Don’t Serve Teens campaign” and B.A.S.S.E.T. certification courses, Southern provides its clients with tools for success. The company and its employees continue to challenge themselves to find ways that they can improve performance and help the lives of both its employees and customers. In order to continue being the best and the industry’s distributor of choice in Illinois, and around the country, Southern believes that being the best corporate citizen is of utmost importance. Four of the world's finest Mexican chefs unite in Chicago on September 12 and 13 to cook, compete, and create. Don't miss your chance to join them for two days of hands-on demonstrations, intimate conversation, and the most memorable meal of your life. Ticket Information: Four chefs. Four styles. One cuisine. At this friendly face-off, each chef defends his vision of Mexican cooking while emcee Catherine De Orio, of Check, Please! referees. Includes food, beverages, cooking demonstrations, tastings of tequila, wines and more! Ticket Information: This ticket includes a five-course, Mod Mex dinner at Topolobampo hosted by Chef Rick Bayless featuring chefs Javier Plascencia, José Ramón Castillo, Beverly Kim and Johnny Clark, along with cocktail offerings by Mixologists Jay Schroeder, Eryn Reece and Erick Rodríguez. 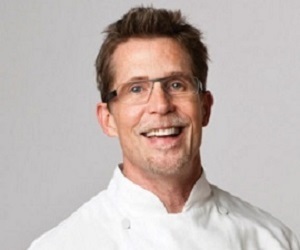 Ticket Information: This ticket includes a one hour VIP reception in the test kitchen featuring a cooking demonstration with Chef Rick Bayless. In addition, guest will enjoy a five-course, Mod Mex dinner at Topolobampo hosted by Chef Rick Bayless featuring chefs Javier Plascencia, José Ramón Castillo, Beverly Kim and Johnny Clark and cocktail pairings by Mixologists Jay Schroeder, Eryn Reece and Erick Rodríguez. Proceeds benefit Chicago Public Schools students studying culinary arts through the Kendall College Trust and the Illinois Restaurant Association Educational Foundation (IRAEF).